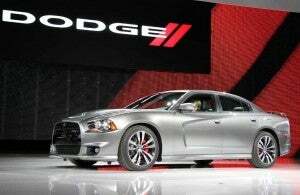 2011 Dodge Charger SRT8 - AutoNetTV Media, Inc.
With an estimated 465 horsepower, the 2011 Dodge Charger SRT8 promises to have plenty of Go. Upgraded brakes and handling will keep all that power in check. Check out the pics to see the unique SRT8 styling. Time to change your engine air filter?